The Chicago Tribune featured Mathnasium of Harwood Heights franchise owner and educator Kim Spyropoulos. 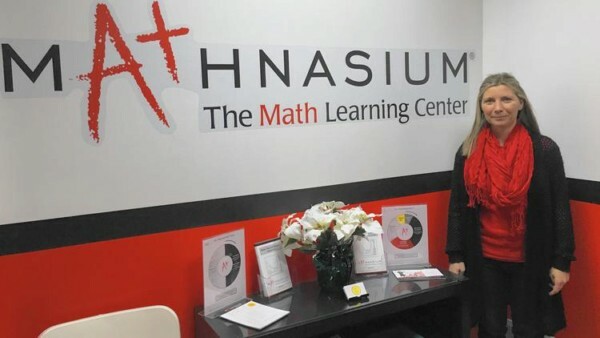 Closing in on her fourth month in business, Kim Spyropoulos, owner of Mathnasium of Harwood Heights, is available to help students aiming to raise their math grades. On a recent Thursday evening, Giles School seventh-grader Sofia Didenko was hunched over a desk, crunching numbers long after the final school bell rang. "Sometimes I like it, and other days I don't," Didenko said of the four hour-long sessions she spends at Mathnasium each week after school. "It feels good when I do better on tests." Spyropoulos, the mother of a 10-year-old daughter and a 2-year-old son, understands she's among the fortunate ones who can easily comprehend the subject. "Some people's brains are naturally good at English and language, while the other half has the knack for science and math," Spyropoulos said. "We're here to make math make sense while making it fun, so that it gets easier." Learn more about Mathnasium of Harwood Heights here.